Today is a good opportunity to augment our collection of humor about socialism and communism. Our first addition made me laugh out loud. Kudos to “writeidiaz” (who should have a contest with “TOOAJoyce” and “ItsMeKarlMarx” for best use of sarcasm). 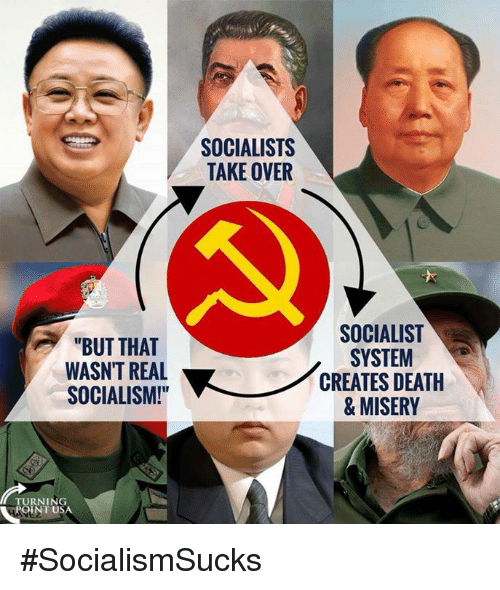 Next we have a variation of the “real communism” or “real socialism” excuse. Since socialist and communist regimes are great places to lose a lot of weight (albeit involuntarily), here’s an interesting way of diagnosing what’s wrong with your latest batch of cookies. Excellent humor. Reminds me of the satire about communist electricity. I encourage readers, the next time they see some vapid millennial wearing a Che t-shirt, to share these three examples. P.S. 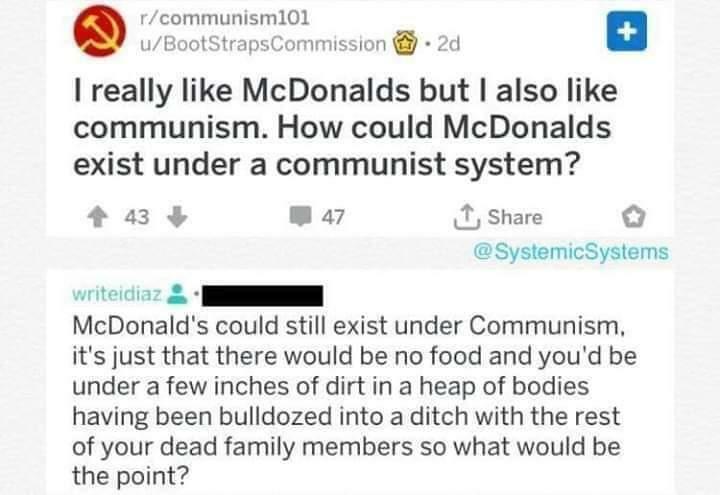 We also need to include “REDACTED” and “Fathercommunism” in our contest for best anti-communist satire. In a time and place where anyone can find out almost anything about anything in seconds to a few minutes, from how to make fantastic jambalaya to a bomb from ingredients under your sink, the massive arrogance behind the left’s willful ignorance is…breathtaking.